*Integrated left-/right-pulling ergo arm with refined, multifunctional, and ergonomic design. *Height adjusts in two specifications: 80mm with 8 position or 100mm with 10 positions. 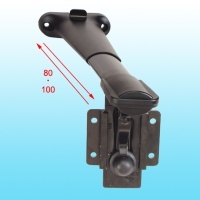 *Please select the size of attached bracket (S1~S3) for price quote.